El-Zakzaky’s Trial: Business Activities In Kaduna Shut Down Over Security Threat. Business activities in Kaduna have been brought to a halt as shop owners, banks, markets and other businesses have remained shut following the trial of El-Zakzaky and the fear of breakdown of law and order. As at the of filing this report, all the major roads linking Kaduna metropolis have been taken over by security agents to control any demonstration by members of Shi’ite against the continued detention of their leader, El-Zakzaky. Civil servants and market people who came to town to continue with their daily activities have been seen in groups discussing the ‘ghost’ situation in the state. 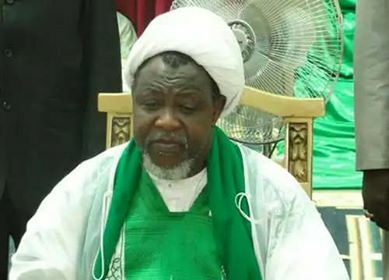 The Kaduna State Police Command had on Tuesday warned the general public to exercise more security consciousness as they go about their daily activities in view of the Court trial of Ibrahim El-Zakzaky on Wednesday. DSP Mukhtar H. Aliyu, Police Public Relations Officer of the state command in a statement observed that people going about with their lawful businesses should be extra vigilant of their environment, persons around them, activities of suspicious persons etc so as to prevent miscreants from disturbing the peace of the State. Residents who spoke to DAILY POST expressed dismay over the development, accusing the government of not taking proactive action to avert the situation. “It is unfortunate that in this hard times when Nigerians are feeding from hand to mouth, business activities have been brought to a halt in Kaduna, affecting millions of people who live on what they get everyday,” a resident complained.